Today my wife and I went to the Minnesota Landscape Arboretum. Our street reconstruction is coming to a close and we are ready to look at a new driveway, walk, and front stairs — a whole new yard plan really — and we wanted to get some ideas. 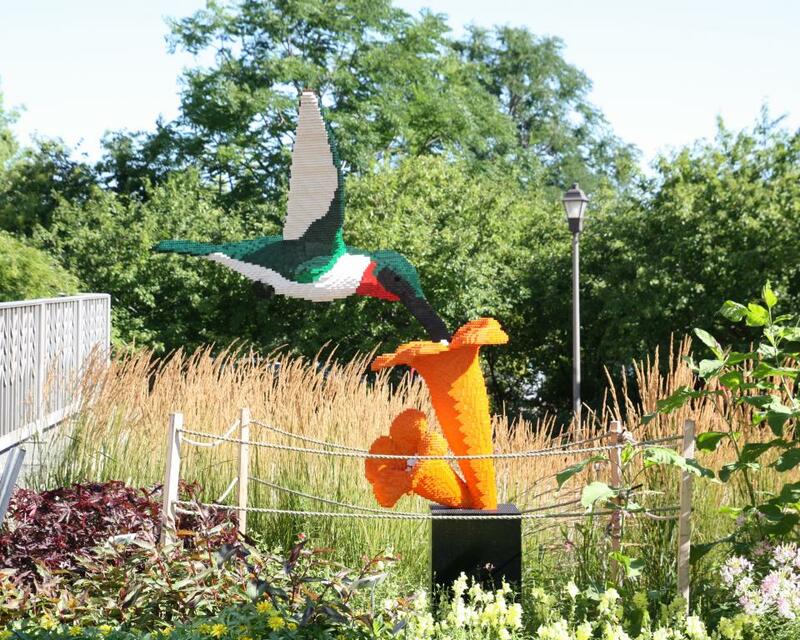 Our visit also happened to coincide with the display of Sean Kenney’s sculptures with LEGO at the Arboretum. So there were a lot of families there that probably wouldn’t have been there otherwise. Still it wasn’t very crowded on a Friday morning. The Arboretum is quite a drive from our house, it took us about 45 minutes to get there. I didn’t realize that it was so far away, I was wondering why my wife wanted to leave so early. When we got there, they charged us $12 a person to get in. Right away after we parked the first thing we saw was the LEGO peacock. After a visit to the restroom we started exploring around the grounds. The Arboretum is a huge place. You can drive a three mile loop around the grounds or you can take one of many trails. It’s organized into gardens and and other collections. 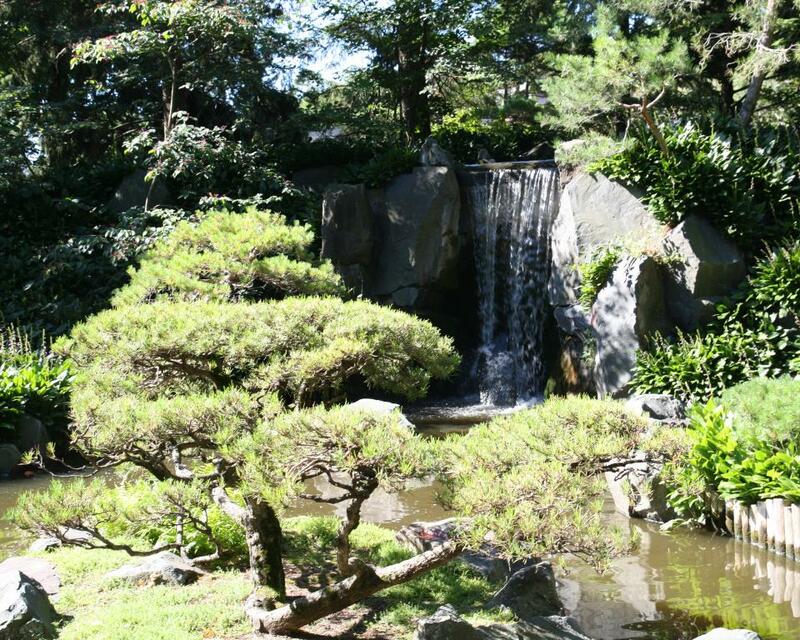 For instance you can visit the Rose Garden, the Japanese Garden, the Wildflower Garden, etc. or you can drive out to the Sculpture Garden or the Maze Garden…a real hedge maze. There are way too many to list. 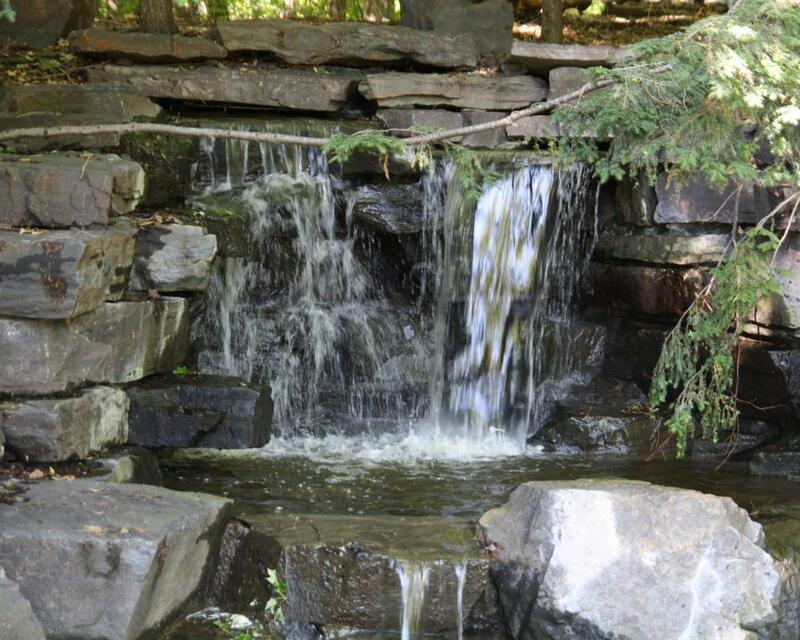 There are also many different fountains and water features including a river that runs down several waterfalls into a boggy area. Walking on the boardwalk through the bog, continuing through the woods, and then ending up in the wildflower garden was probably my part of the trip.